Bruce Grubbs has been hiking, backpacking, and cross-country skiing throughout the American West for more than 40 years. He participated in the technical first ascents of the last major summits to be climbed in the Grand Canyon, including Buddha Temple, Holy Grail Temple, the striking pinnacle at Comanche Point, Malgosa Crest, and Kwagunt Butte. Bruce has spent more than 400 days hiking in the Grand Canyon. 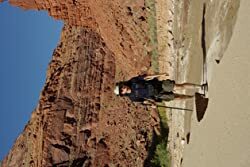 He continues to enjoy long backpacking treks in the more remote sections of the Grand Canyon, as well as hiking and backpacking trips elsewhere in the American West. Outdoor writing and photography have long been serious interests of Bruce's. His first published article was in a local Arizona outdoor magazine 35 years ago, and he has since been published by Backpacker Magazine and several regional publications. About 20 years ago, his writing focus expanded to include books, with the publication of Hiking Arizona with Stewart Aitchison. He has since written 35 more books, published by five publishers. Earlier, Bruce worked eleven seasons as a wildland fire fighter for the U.S. Forest Service and Bureau of Land Management. His positions included fire lookout, engine foreman, helitack foreman, and fire station manager. He was part owner of an outdoor shop for eight years, selling hiking, backpacking, climbing, and skiing gear. He started and continues to run a successful computer consulting business, offering personal computer support and website design to individual clients and small businesses. Bruce has been a professional pilot for more than 25 years, and holds an Airline Transport Pilot certificate with multi-engine rating. He also holds a Flight Instructor certificate with instrument rating. Currently, he is an active, part-time air charter pilot with more than 8,500 hours of flight time. Please enter your email address and click the Follow button to follow Bruce Grubbs! Best Easy Day Hikes Albuquerque includes concise descriptions of the best short hikes in the area, with detailed maps of the routes. The 20 hikes in this guide are generally short, easy to follow, and guaranteed to please.